It's no secret that last year was one of the most difficult of my life in terms of my mental and emotional well being. After having Eric I spiralled down into a really dark place and it took me a while to get back out. Going through all of this made me realise that I needed to start being a little bit selfish and make sure I start taking some time out to focus on myself and practise a little more self-care. And one way that could guarantee 100% relaxation was booking myself in for a little pamper session. I love a good massage and with the city centre seeming a whole other world away since we moved I was hoping to find somewhere a little bit more local. It was actually my parents who first recommended Winona Retreat. Although neither of them had never actually been themselves they know the owner and passed on her details so that I could peruse the treatment list and get in touch. After scrolling through the Facebook page and spotting a really great-sounding '3 for £30' offer I popped over a message to book myself in. The minute you step into Winona Retreat you feel immediately at ease. Painted in a soft green and adorned with decor in soft colours it is evident that owner Christine has put a lot of thought into how the space is set up. The perfect mix of cosy and calming, instead of feeling like you are standing inside it is almost as if the room is just an extension of the grounds in which it is set. First up out of my three treatments was a back, neck and shoulder massage. After removing my top layer of clothing I hopped onto the treatment table and took a deep breath in. Even though the calming influence of both the room and Christine were inescapable I couldn't help but feel a little apprehensive. I'm not the best at being able to keep totally still during massages and as the muscles in my left side loosen I get extra fidgety and this can make me feel a bit awkward. All this can be misinterpreted as me not enjoying a massage and I just didn't want this to be an issue. Easing into the massage I could feel my muscles relax almost instantly. I carry a hell of a lot of tension in my right side (my shoulder especially) and it does take it toll, so having someone who knows what they are doing to work out the knots for me was incredible. With her hands gliding in a dance over my skin, Christine engaged me in gentle conversation. Her warm nature was such that I found myself opening up to her and talking to her as if she were a friend. Time passed so seamlessly that before I knew it it was time to move on to my next treatments - a facial and Indian head massage. Turning over onto my back, Christine covered me up in two thick blankets and propped my head up with a pillow. Now this was the part I was most excited for. I've wanted to try an Indian head massage for so long (I love having my hair washed at the hairdresser so I thought the experience might be similar) and have heard that they are really good if you suffer from anxiety so was seriously hoping having one would help me out. Christine used the time to deliver both treatments simultaneously. 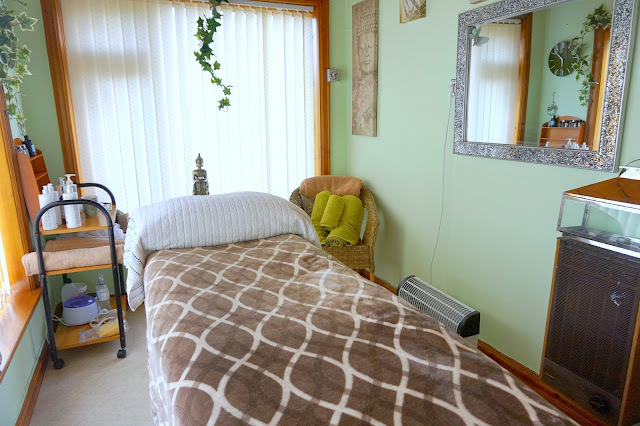 The facial and the head massage were a great complement to one another and even though we were still engaging in gentle conversation I could feel myself becoming more and more relaxed. It was a feeling I'd never had before. Sometimes when I get massages I get an almost out-of-body experience that feels great but rather unnatural. But this was much better. I was calm, I was relaxed, but I was present. What was so nice about being at Winona Retreat was that I was not rushed. After the treatments were complete, Christine and I sat chatting away for ages. It honestly felt like I had known her for so much longer than an hour and felt so comfortable in her company that I ended up sharing a lot of things with her that ordinarily I might keep a little close to my chest around a stranger. Being at Winona Retreat was like entering into a bubble of complete and utter calm. All my worries and stresses from the outside world melted away and I totally switched off. 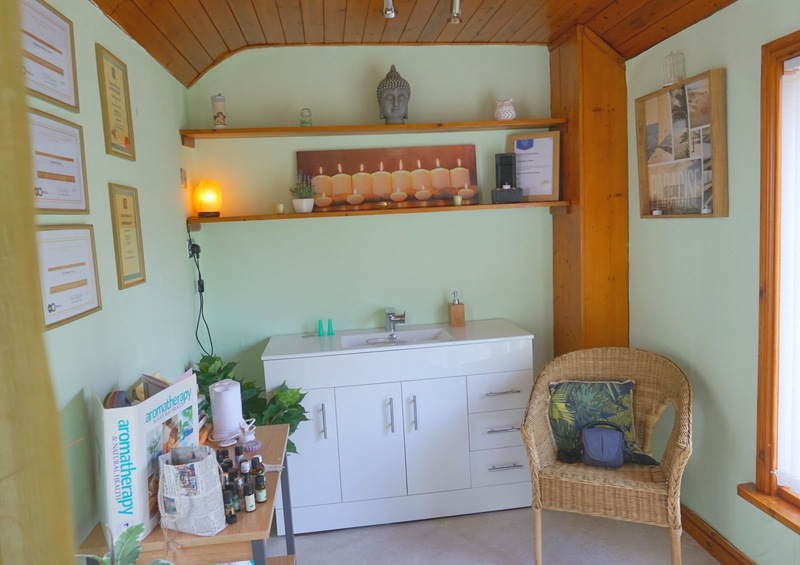 It wasn't just getting some beauty treatments, it was a completely holistic experience in every sense and I loved my time there. Christine is such a warm, welcoming and inspiring woman that not at any one point did I feel uncomfortable or nervous. She worked around my needs and listened to me as I basically told her my life story, and offered advice and support in an entirely no-jugdgemental way, with discretion and confidentiality. This was my first visit to Winona Retreat but it certainly won't be my last. For the rest of the day after my treatments I felt so carefree and chilled out and so much more relaxed than I have felt in a long time, with my left side feeling so much looser and all the tension in my back totally dissipating. Looking to take some time out and treat yourself to a little pamper session? You need to look into booking youself in at Winona Retreat. With incredibly affordable prices and run by the loveliest lady you will leave feeling fresh, phenomenal and without a worry in the world.